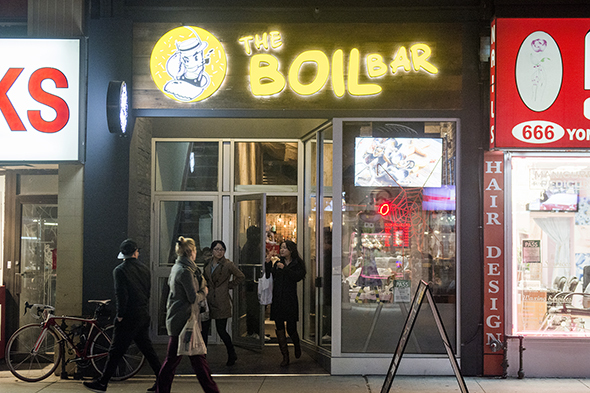 Boil Bar serves up Louisiana-style boiled seafood along with a variety of seafood-inspired dishes. 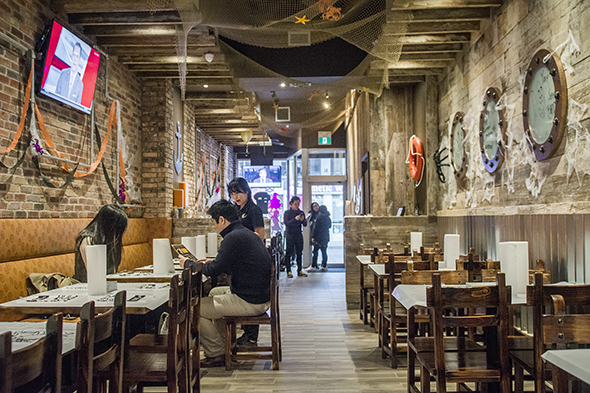 This Yonge St. location is a bit narrow but modern, sleek, and comfortable. The most popular items on the menu are the boil dishes. Here's how it works: select a type of seafood, choose a sauce, dial the spicyness up and down as you wish, and sit back and enjoy the messiness. I really liked the King Crab Leg (35.95/lb), served with the Leviathan Sauce. Even given my atrocious seafood handling skills, the crab legs were surprisingly easy to break apart and had ample flesh. Those who like smaller things should go for the Cuba Shrimp ($12.95/lb), which I paired with the Kraken Sauce, their signature garlicky house sauce. Easy to peel, these little fellas are sure-fire crowd pleasers. The Sake Boil is a lighter-coloured, garlic-based, sake-infused sauce. 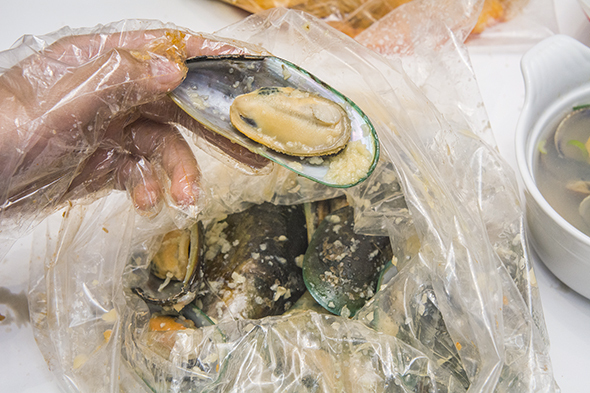 Get it with either the BC Clams or New Zealand Mussels ($13.95/lb). 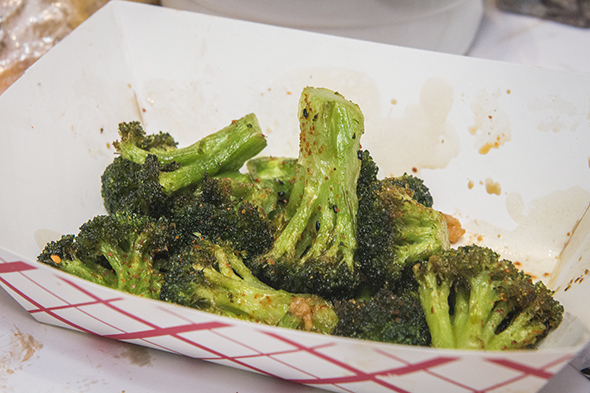 I thought the Deep Fried Broccoli ($3.95) might come coated in tempura flakes, but I was pleasantly surprised to see it perfectly fried sans batter. 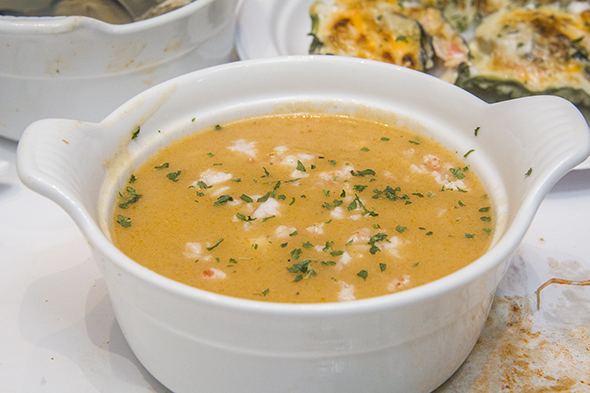 From the soup menu, The Lobster Bistro ($5.95) is their rendition of lobster bisque. Eat it with some garlic bread and a choir of angels might just sing in heaven. 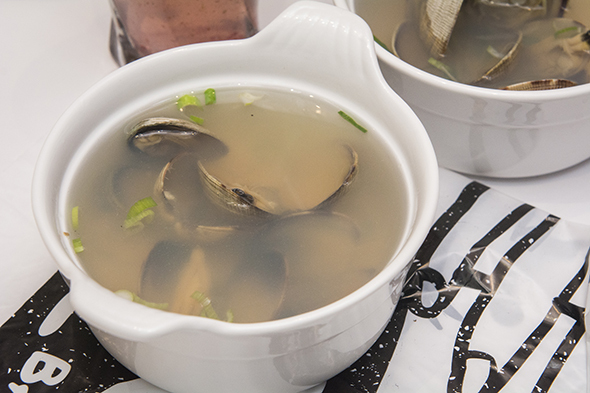 The British Columbia Clam Soup ($3.95) is a clear clam soup, infused with a slight touch of booze and a bit of ginger. It's a must-order during the colder winter months. 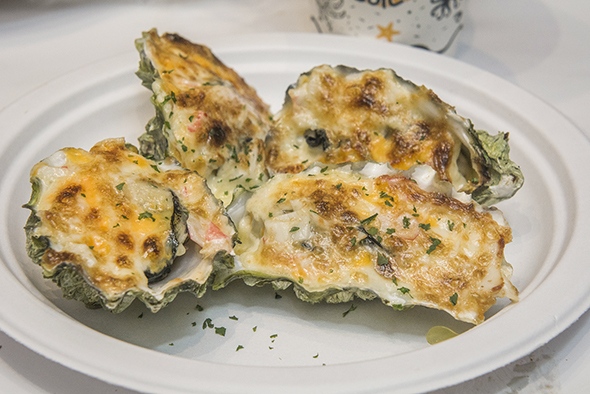 Oyster fans should not miss out on the Baked Oyster ($2.95). Full of cheesy goodness, it's a fantastically gooey time. 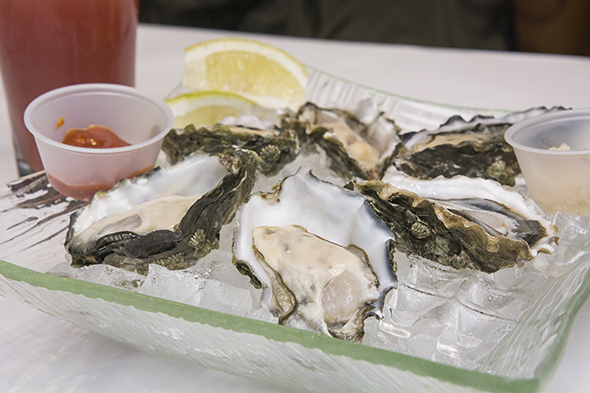 Purists, though, can opt for the Raw Oysters ($1.95 each). With a light squeeze of lemon on top, it is perfect for those who prefer their oysters unadulterated. My favourite dish? It has to be the Scotia Halifax Baked Lobster ($29.95 each). 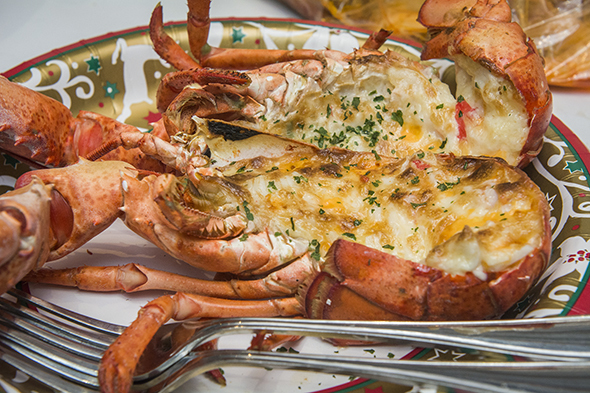 Its buttery-smooth lobster meat gets coated with baked cheese. More please! 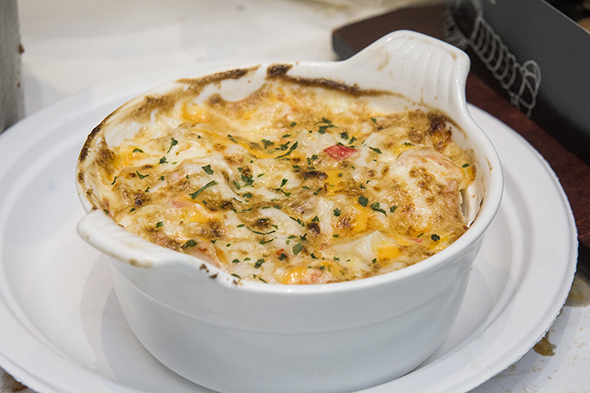 Also from the oven the Cheese Baked Shrimp Rice ($5.95) is your cheesy seafood option if you're on a budget. 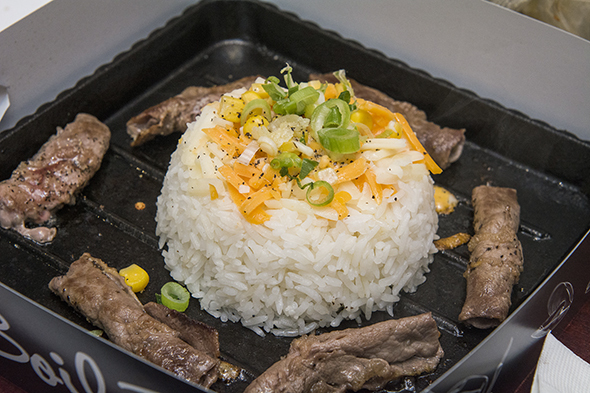 During lunch service you can get one of their sizzling plates. 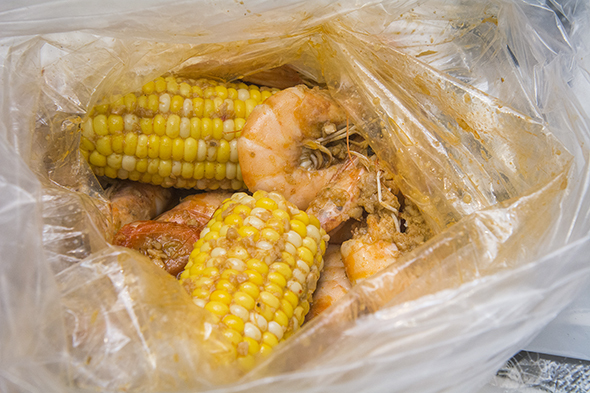 I try the Sizzling Beef ($8.95) which comes with a side of mixed seafood boil bag (2 shrimps, 3 sausages, 2 mussels, and sweet corn). 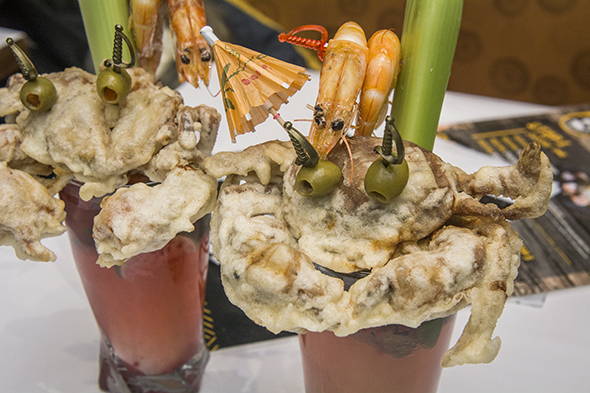 To drink, be sure to sample one of the restaurant's pricey seafood cocktails ($15.99). Their mojito comes with a seasoned soft shell crab perched beautifully on top.